I discovered one thing recently. This concerns one of the rituals that humans are always doing, in fact, they cannot avoid doing it, but because of cultural and social restrictions, they don't want to talk about it. In fact, they pretend they don't do it. They are disgusted at the thought of it, as if that ritual is unnecessary for them. But if they don't do it, they die. So here's my warning: If you are not inclined to read about toilet habits, go here. The fact that you are reading this exact sentence is proof that you have read my warning and still decided to read on. So there, I will recount my discovery. I discovered that tofu can make your excrement harder than usual. And I experienced this personally. It was because last Monday, I made a tofu and mushroom dish, and I had it for dinner. The next day, before going to school, when I was in the bathroom, and I was sitting in the domestic throne, I had a hard time expelling it. Come on, I thought. I never have a hard time doing this! Then I remembered tofu, a protein product. Oh my goodness. 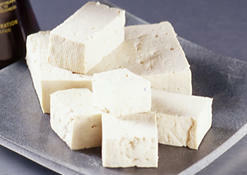 Although I cannot say that I would never eat tofu again, since tofu is one of the few products that have protein that are non-meat. So my fellow bloggers/readers, if you ever find yourself eating tofu, expect to have a harder than usual excrement the next day, or whenever your ingested tofu completes the intestinal route. To change the topic, I overslept today. But with no consequences. We don't have classes today, because of the Jewish holiday Yom Kippur. But tomorrow is back to normal. I have a 3-hour class tomorrow morning, and then at 1:30 in the afternoon I have another meeting with a student. Then later there is a colloquium, where a professor from the department will talk about a topic that I don't know yet. Since there aren't any classes today, the professors have decided that they would give long homework. That one I tackled today. I went to my office and went to work from around 2:00 to 7:00 in the evening. But still I am not yet finished. Tomorrow, if I find time, I will listen to the tape of the experiment that we did in Semantics, in order to answer the question in the homework. Oh well, time to go. Hasta la vista, baby! My hubby called me and so did my mom... to wake me at 6am to get my son up. Well, I didn't get up even tho they called. I woke up at 7:30 and he was an hour late to school. Ugh. Ah! The infinite joys of Tofu! Thanks for sharing!